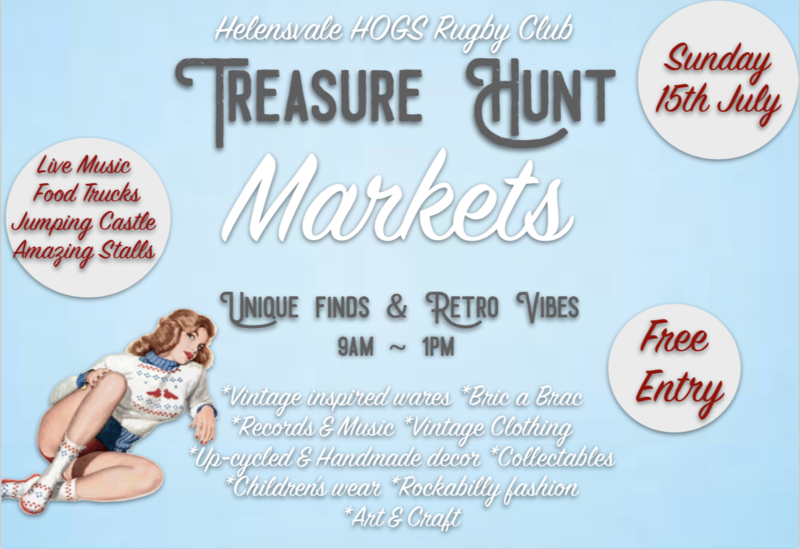 Treasure Hunt Markets: bringing together the love of vintage and retro inspired merchandise, while supporting small local businesses, artists and creators. Whether you are a collector of teacups or a lover of handmade gifts, Treasure Hunt Markets offers something for all ages. Enjoy a refreshing beverage or a mouthwatering treat from one of our vendors while reminiscing to live music. There will be a jumping castle as well as a playground for the kiddies too.